Deep Blue dJinn: Special Stories: Kathleen Culler: Commercial, Editorial, and Event Photography in the Metrowest Massachusetts Area. Marcus Padula, drummer for Deep Blue dJinn, quiets his cymbals during a demo session in Marlborough, MA. 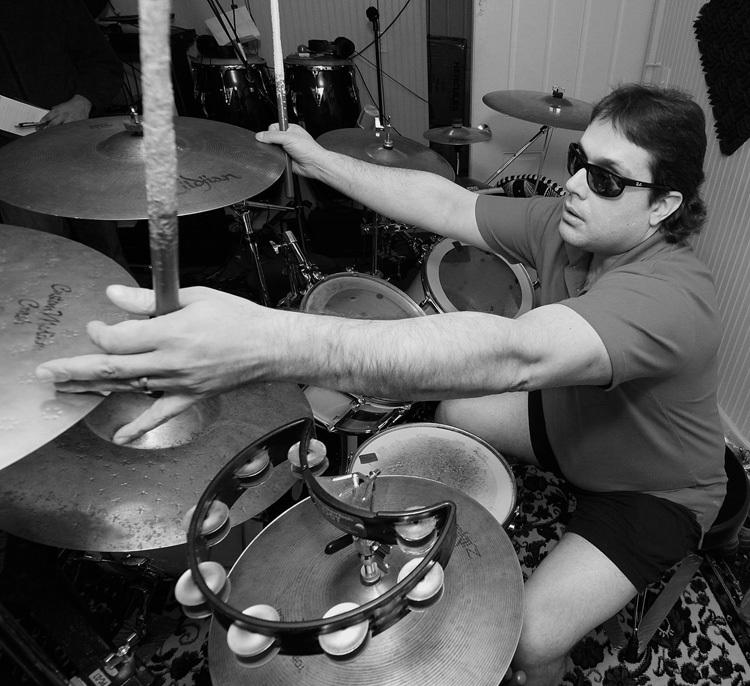 Padula, who is blind, has reversed the layout of the drum kit and cymbals typically used by drummers to allow him to play with greater speed and accuracy.